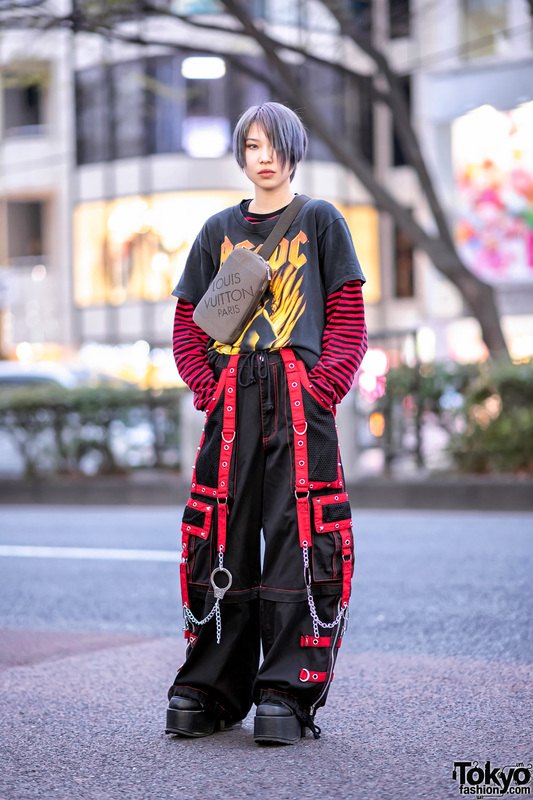 While out on the Harajuku street one afternoon, we came across Kae, whose all black streetwear style easily caught our eye. Kae stepped out on the street wearing a Merry Jenny button down collared blouse with ruffles and laces on the sleeves, which she tucked into a black vintage skirt with a see-through mesh overlay and a sheer back panel for a high-low silhouette. Black socks with rose embroidery, platform baby doll shoes from Yosuke, and a black sling bag with an embossed gun design from Vlieger & Vandam completed Kae’s all black look. 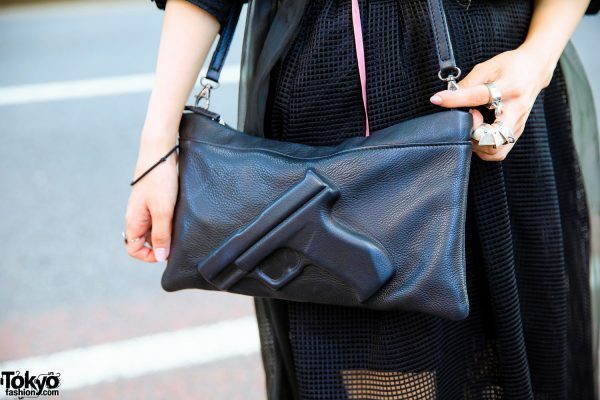 Accessories from Vivienne Westwood and Alice Black such as heart earrings, a silver rosary necklace, and multiple knuckle rings rounded out her style. Kae’s favorite fashion label is Vivienne Westwood, and she likes the music of Shank. Follow her style feed and social media updates on Twitter and Instagram.